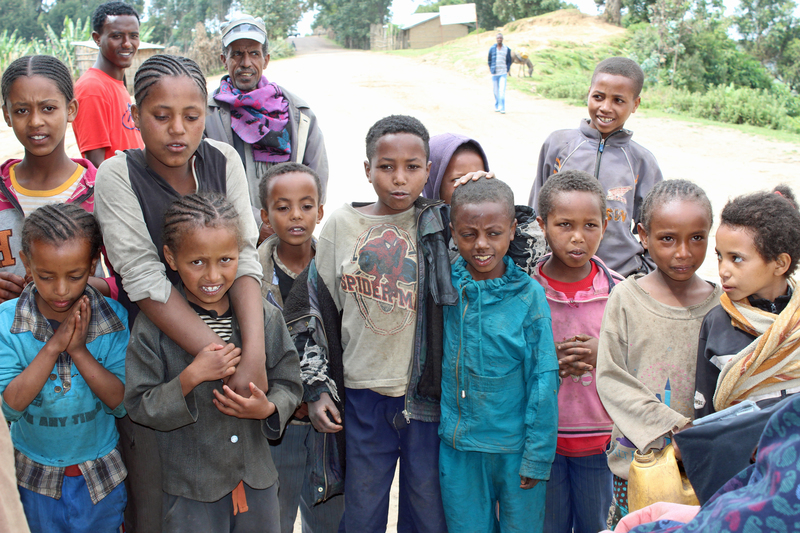 On Thursday morning, our family plus three more Varnero faranji hired a driver to take us to Negash Lodge and Wenchi Crater in the Oromia region, about 60 miles southwest of Addis. 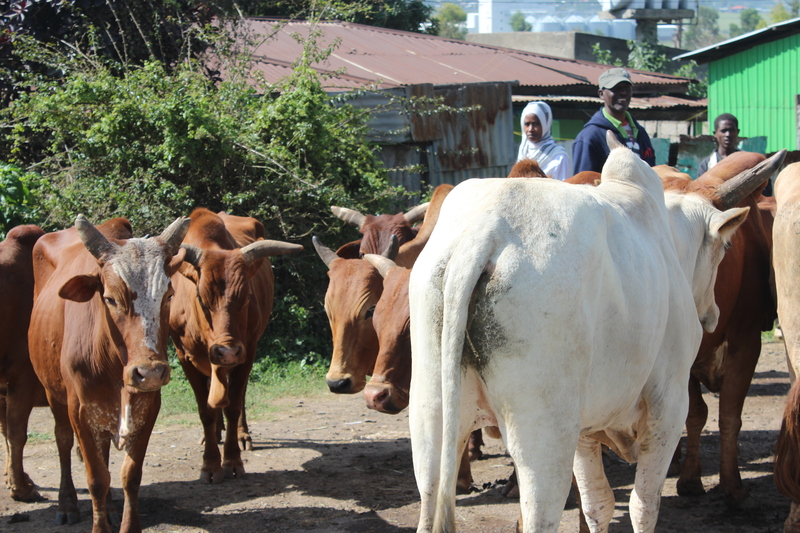 Addis is a big noisy bustling place; it felt (and smelled) great to get out into the countryside. 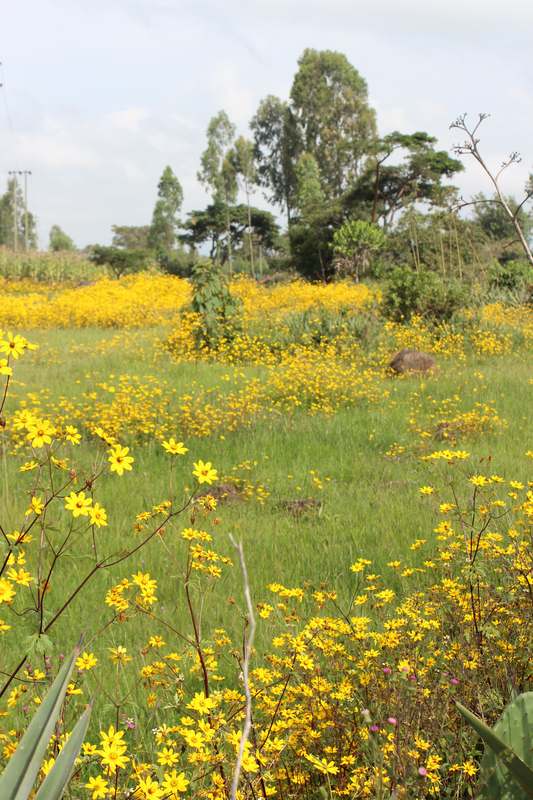 The yellow meskel flowers, adey abeba, are in bloom now. 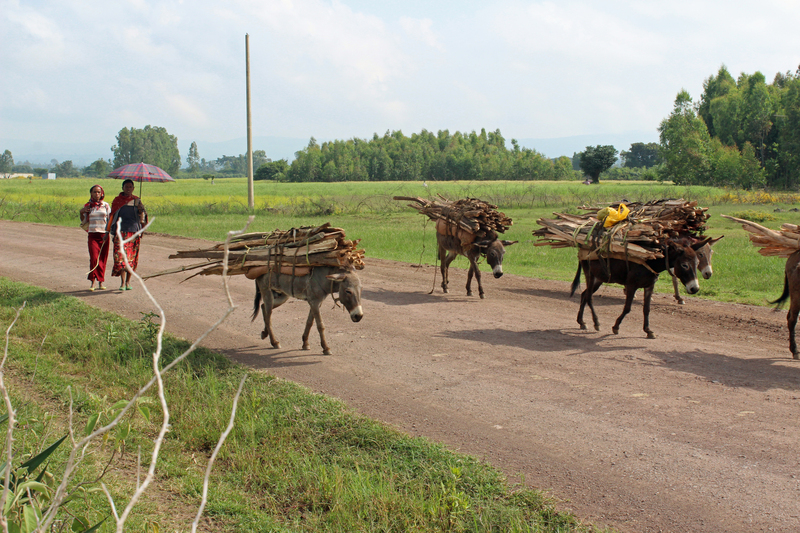 We passed through some smaller towns on the outskirts of Addis. 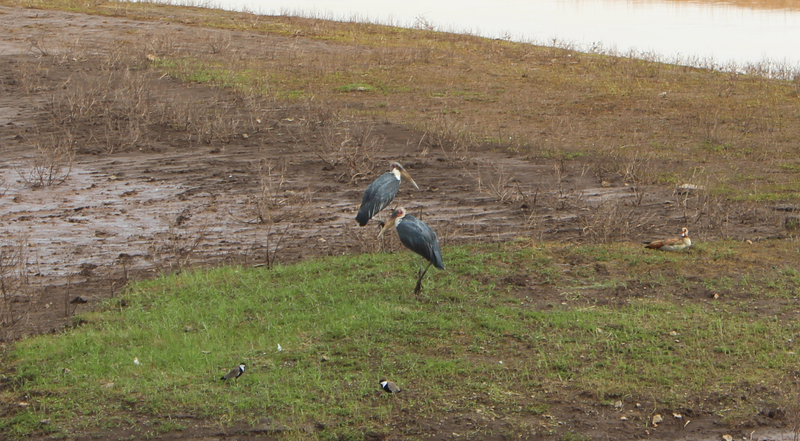 Then the road took us through a marshland area where we saw many kinds of birds. Our driver called these big birds “marabu.” I haven’t found them yet in my bird book. 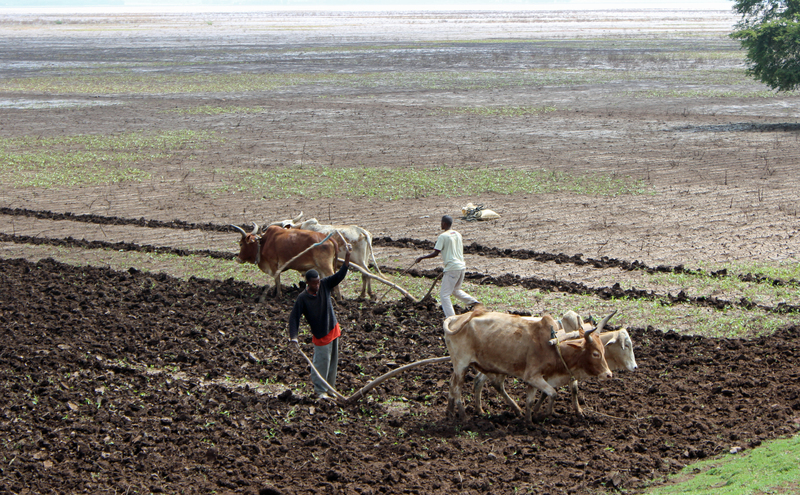 We saw farmers tilling their fields with oxen and wooden plows. Outside of the city, there are more animals and people on foot than there are cars. Men and women use umbrellas as parasols. 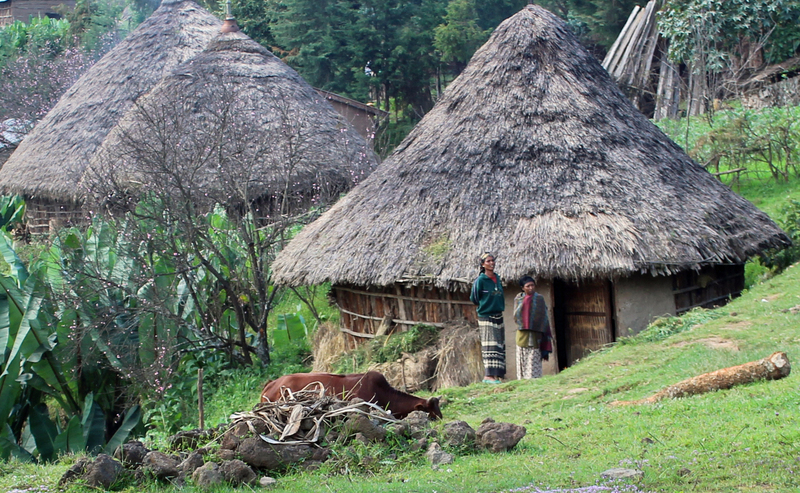 In the countryside, people mainly live in round tukels or rectangular buildings made of sticks and mud. 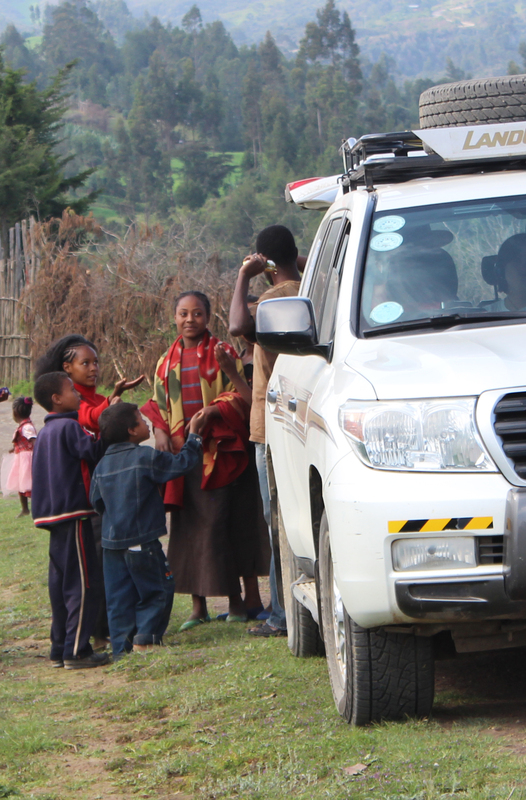 If you stop to take a photo, children crowd around the car. They ask for pens and candy. We didn’t have any pens but we gave them oranges. Jerry (ICS music teacher) sang songs to this group. They sang one for us in return. They sang us the song they learned at school for the morning flag-raising. Thanks, Lorna, for these great pix–looks like a very special trip! !